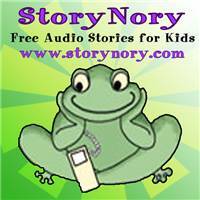 My kids LOVE Story Nory! We choose a few stories to put on a disc for them to listen to while they fall asleep. It's also great for road trips! They have a huge variety of stories; classics and fairy tales like Cinderella and Puss In Boots, Aesops fables, and original stories including one about a frog who used to be a prince. LOTS of fun! Click Here to go to the website.